Abstract: In this talk, I will present an overview of the program used to simulate Taylor Couette Flow. Next, a comparison between the results produced from a simulation and an experiment will be compared. 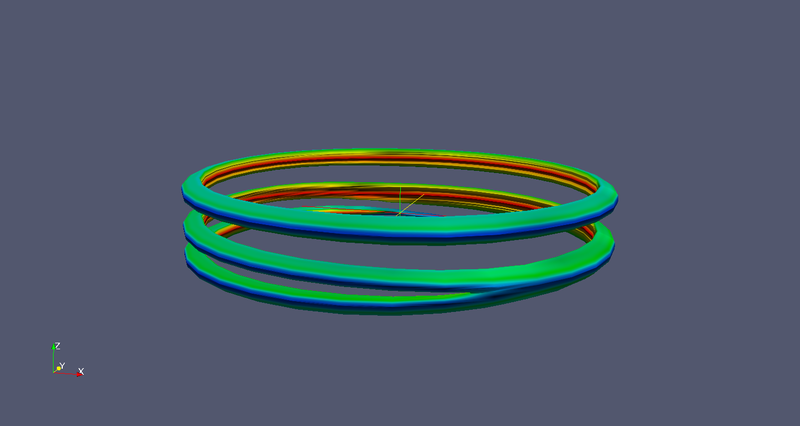 The comparision between both the experiment and the simulation will be used to verify the implemented boundary conditions, along with the initial parameters within the program. For a particular set of Reynold's numbers the experimentalist observed a visual defect in the flow field. Lastly, a video and a few images taken from a simulation, corresponding to the defect, will be shown. Here is one image of the defect. Here is another image of the defect. Here is a movie of the simulation. The image is a slice of constant radius. 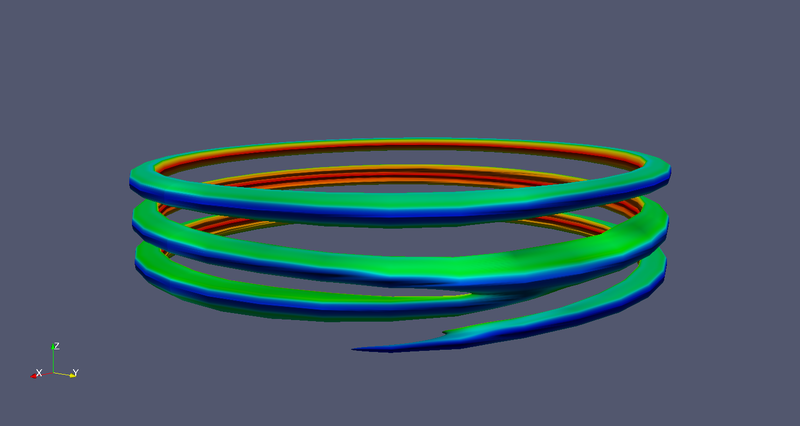 The color map corresponds to the radial velocity of the flow.